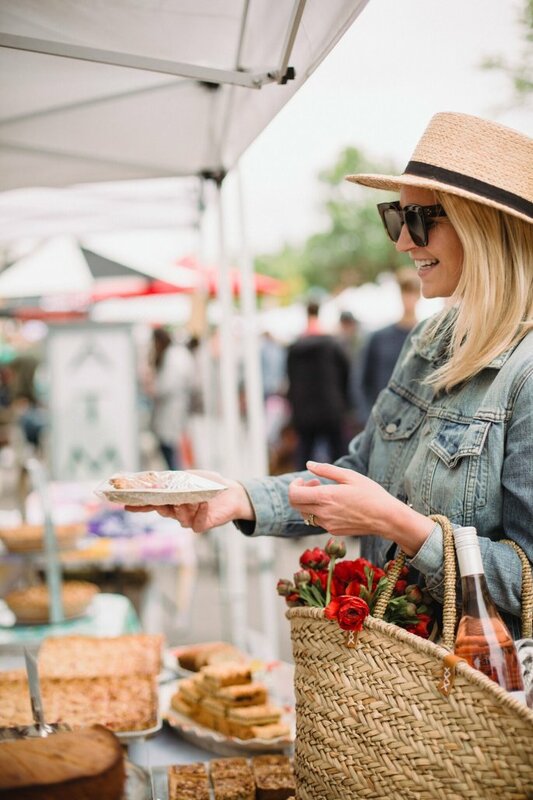 Summer is just around the corner and one of my favorite activities is head to the market on the weekend and grab fixings for an impromptu farmers’ market picnic. There are a few held here in Denver, Colorado, but my personal favorite is in the Platte Park neighborhood just off of I-25. 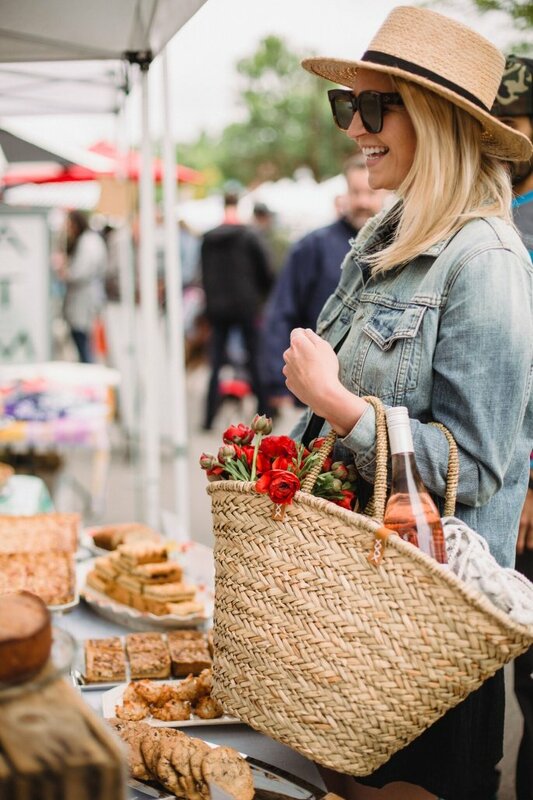 There is so much incredible local produce, local bakeries, florists and more at the farmers’ market. 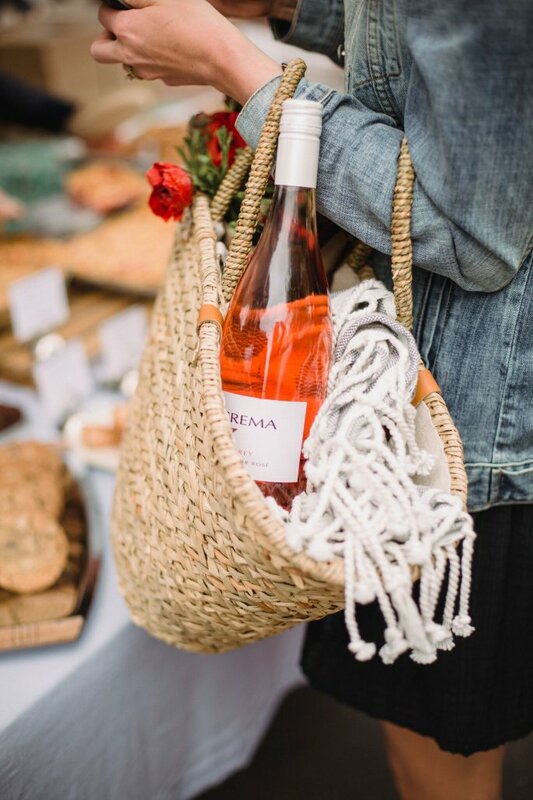 An afternoon spent here collecting goodies for a delicious picnic, equipped with La Crema Pinot Noir Rosé of course, is the perfect way to kick off the summer. 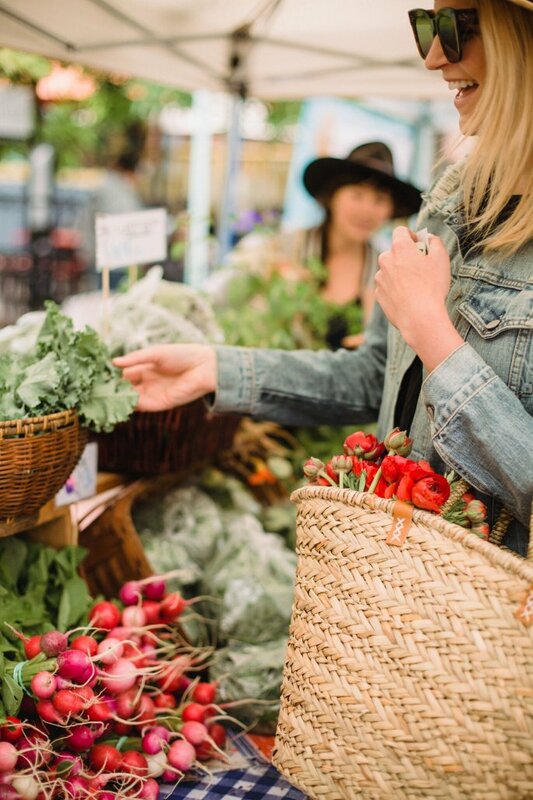 All farmers’ markets are different, so be sure to explore the ones around you to find your favorite. 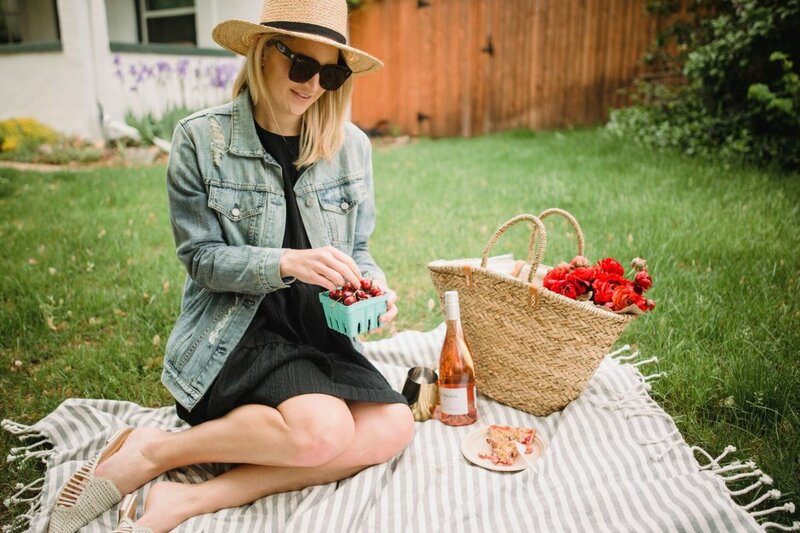 When it comes to what to pick up for your farmers’ market picnic, the options are usually endless! My go to is always cherries and peaches which should both be in season this time of year. In Colorado we have the most divine peaches from Palisade that make their way to the stands in June (can’t wait!). A slice of pie or any delicious baked good is a must. I came across this rhubarb pie from a local bakery which absolutely delicious. Cheeses, sandwiches, popcorn and any little bites are a must as well. Take your time looking through all the stalls. My husband and I like to do a lap first to see what is available and then loop back to grab the things that caught our eye. 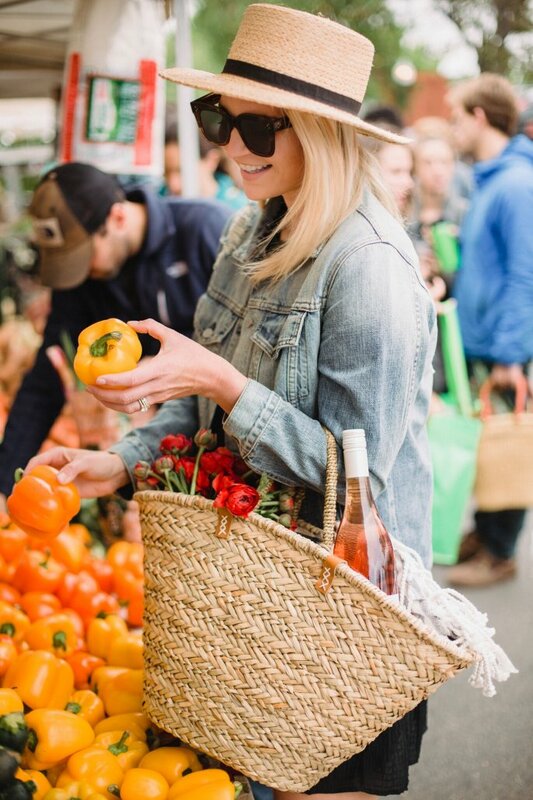 Don’t miss going through all the local farm stands produce! There are usually such great deals and everything is so fresh. 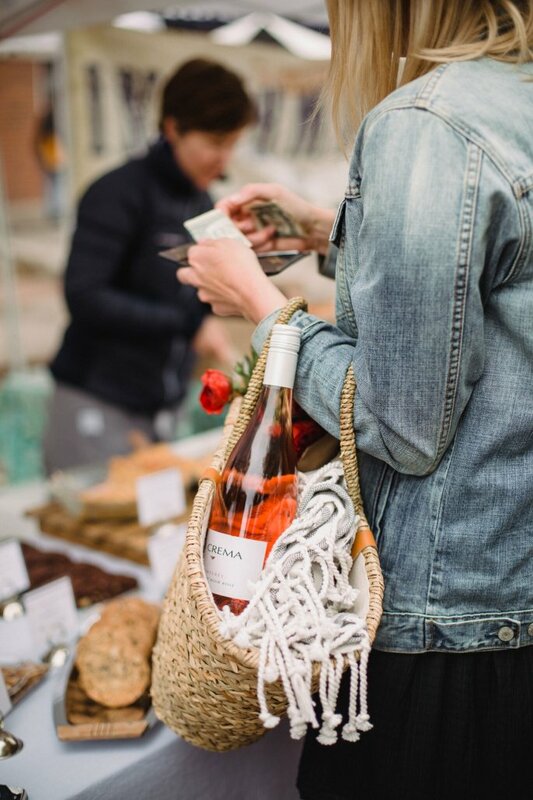 I recommend planning your meal for that evening by grabbing all the ingredients to make it with at the farmers’ market. It’s such a fun little challenge. 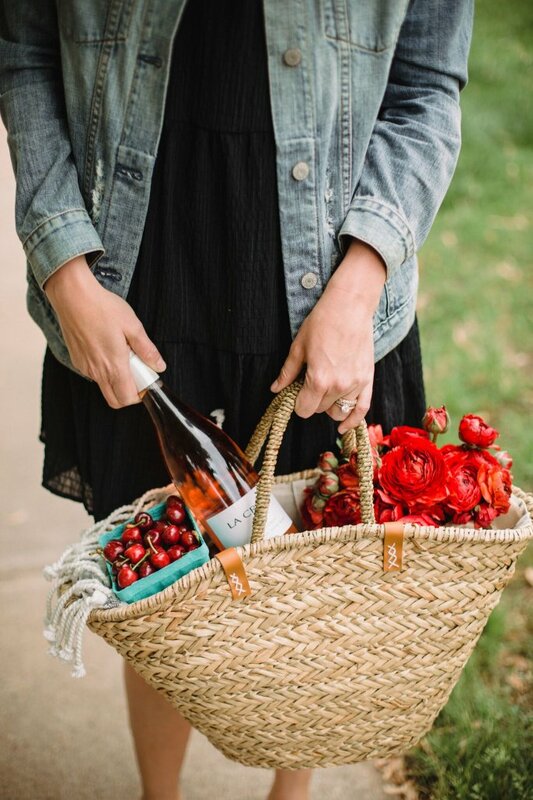 Pack a basket to put your goodies in along with a blanket, wine glasses, forks and knives, napkins and of course, your bottle of Rosé. 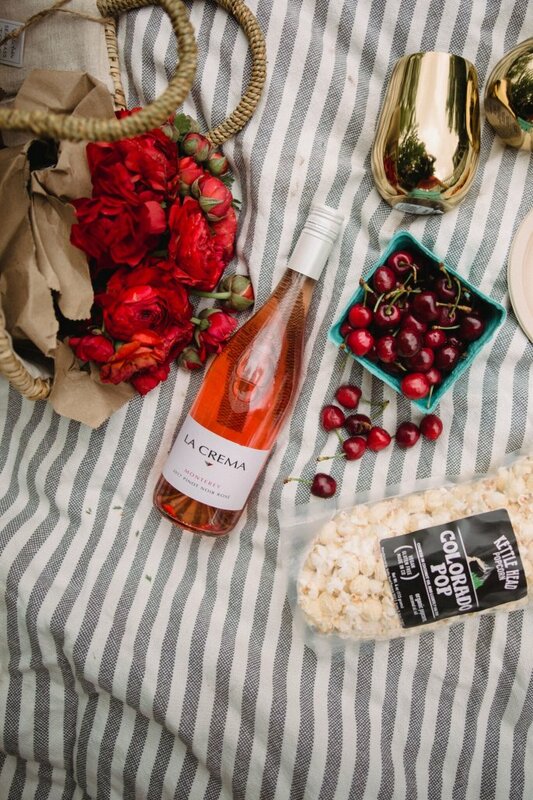 La Crema’s Rosé is the perfect pairing to any summer soirée, especially a farmers’ market picnic! 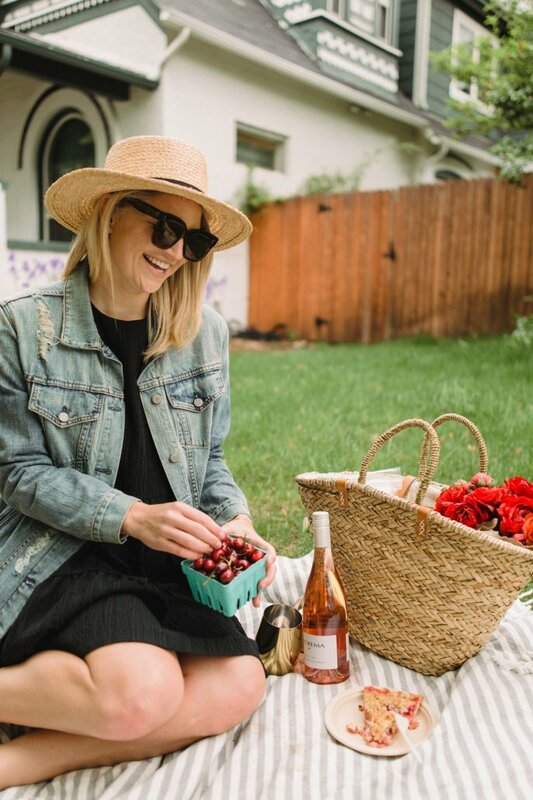 I love enjoying this Rosé with juicy summer flavors, especially a piece of pie. Once you find all of your munchies, head to the nearest park or a perfect little spot near the market to set out your blanket and enjoy!